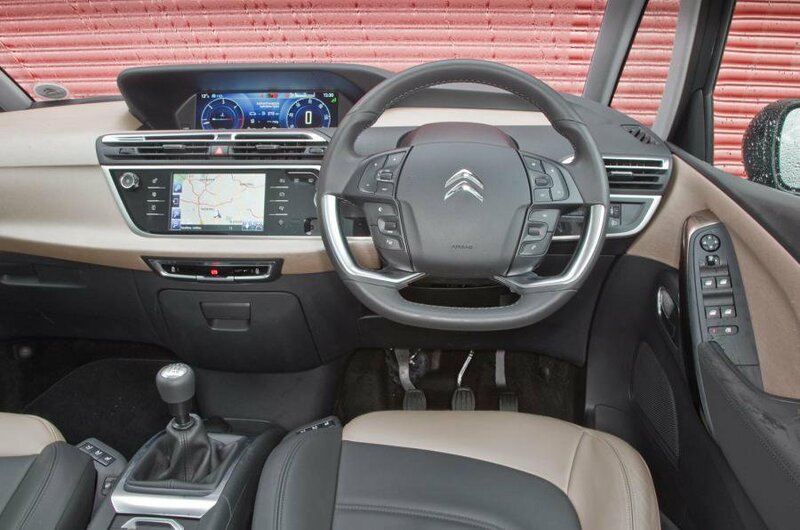 Used Citroën Grand C4 Picasso Review - 2014-present | What Car? 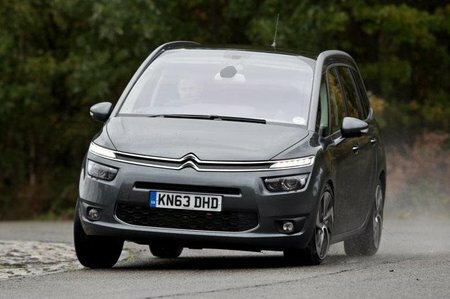 What's the used Citroën Grand C4 Picasso MPV like? Pity the poor family man, weighed down by the burden of transporting his growing brood, yet deeply desirous of making the same good impression on passers-by as he did when he was young and carefree. The Citroën Grand C4 Picasso might be seen by some as the answer to this particular prayer, as it combines seven seats with a body that goes way against the MPV norm by being both stylish and almost pleasant to look at. The first-generation version was large and swoopy, and combined exceptional practicality with reasonable driving manners. This second-gen model upped the looks factor and was much nicer to drive. It’s also extremely practical: it can be a five-seater with a cavernous boot or a seven-seater with a good-sized one. On top of that, all models are well equipped and there were a range of options available when new that could make the job of transporting your family that bit easier. The engines are strong, too, including three diesels – two 1.6-litre units in differing states of tune and a more powerful 2.0-litre one – as well as a 1.2-litre petrol that’s both punchy and smooth. There are three well-equipped trim options, with even the entry-level Touch offering air-con, electric windows and a 7.0in touchscreen. It rides and handles well for a car of this size and is reasonably refined. And it shouldn’t, despite its practicality, cost you a fortune to run. The Grand C4 Picasso has long been one of our favourite MPVs and prices on the used car market are now looking particularly attractive, so anyone anxious to add a touch of panache to their family motoring could do a lot worse than checking one out.